So recently I went to a friends house and saw that she had the whole box set of F.R.I.E.N.D.S and just had to borrow it. Just like a lot of people, I loved friends, it was and is one of my favourite sitcoms. 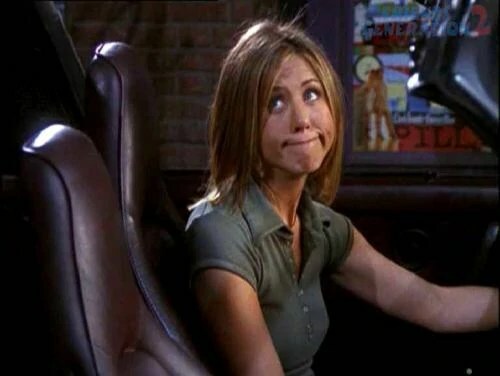 So it was great to rewatch every single episode again to relive all the great moments and just to laugh along with all the fun that Joey, Rachel, Chandler, Phoebe, Ross and Monica bring. However, whilst I was watching I started to notice a few things that a few random things that I never noticed before that I thought I would share with you. With the events that happen with Julie, Ross and Rachel we are meant to believe that the seasons just follow straight on from one another. However, in season 1 Joey says that he is in 25 and then in season 2 he magically jumps to 28. Ok, when I say this I am not really talking about fat Monica but look at the facts. 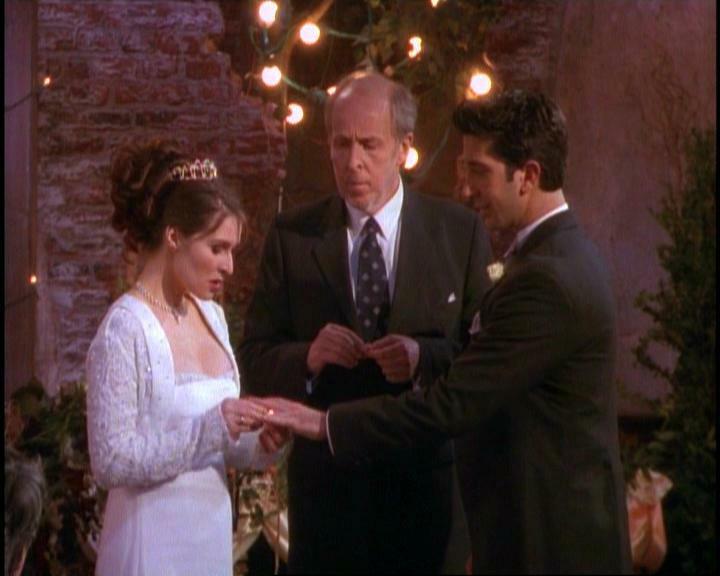 when they jump back in time to the past and Monica is skinny, Chandler is attracted and throughout seasons 1-4 before they hook up they are both very close and he even keeps asking her to go out with him in the Beach episode and she rejects him…however at the end of the season they get together. Think about it. who would want to catch flowers from a wedding where the groom says the wrong name? Just think of that person, who was it and who did they end up marrying? It may of been just a fun time with the girls when they all put on wedding dresses but after she caught the bouquet that Phoebe threw she ended up dating Chandler who she ended up marrying. 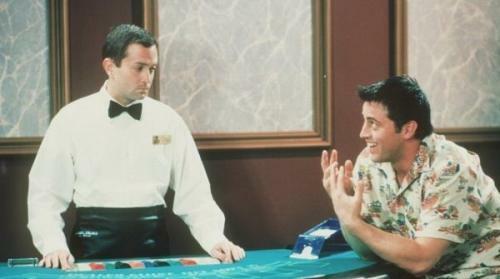 5) Joey’s identical hand twin later went on to appear in the Odd Couple with Matthew Perry. Joey’s identical hand twin and joey’s best friend Chandler end up performing on the small screen together – who knew! Just think how bummed out joey would be if this was in the Friends universe. Well, i can tell you like any friends fan that this isn’t true, they met when he went to Thanksgiving, when they made out at a college party etc etc. This was mentioned in an episode but surely this would of been made a bigger deal, especially by Ross but it wasn’t. Talk about keeping it all in the family. Just imagine how awkward big family gatherings would be. When discussing baby names, Rachel liked the idea of James if the baby was a girl. Blake Lively and Ryan Reynolds made the headlines when they named their girl a boys name. From this new information, i think they were just friends fans and wanted to be the new Ross and Rachel…except for the break thing. 8) In Season 9 Joeys the richest. Yes you heard that correctly – when you think of it you would technically expect it because he has a recurring role in a highly popular television soap. However, if he is earning so much….why hasn’t he paid anything back to Chandler? 9) Did Friends invent the Heely? 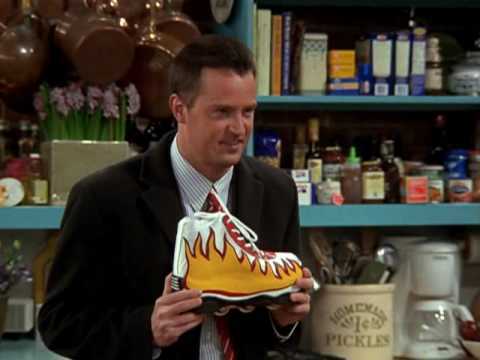 In season 9 Chandler works at an advertising agency where he has ot come up for a slogan for a pair of skate shoes that have wheels that fold back inside…sound familiar? 10) What happened to rent free Monica? In the early seasons of Friends, Monica says that the apartment is rent free because she inherited it from her grandma, yet in later episodes, season 9 to be exact, she goes to Joey to borrow money. 11) how could they hear so much? In Season 10 Monica, Phoebe and Chandler say that they can hear noises from both Rachel’s room and Ross’ room. When you look at the wall…how could tey hear from Ross room. The door is right to them which leads to the hallway, even if he was in the room next door they wouldn’t of been able to hear as they were at the wrong wall. Also if the room was a weird hallway and the entrance to the room was right next to them at an angle they still wouldn’t be able to hear anything from that angle.